Earlier this month, we announced Walt Disney World is preparing for a big change to its ticket pricing. Now it’s official: Walt Disney World has launched its date-specific, demand-based pricing system for tickets. This is your last chance to save on current Magic Your Way deals before the changeover – book your tickets today at TicketsatWork.com and start planning your next Disney vacation! This new ticket pricing allows guests to choose tickets based on the dates they’re looking to visit the theme park, or choose the flexible date ticket. All four theme parks will also have the same base admission price. Previously purchased tickets before the change in pricing will still be accepted on the dates those tickets specify. The Flexible Date Ticket is great if you require just that – more flexibility – for your visit. There is no need to choose a start date for your visit. Tickets can be used within 14 days from date of first use. Flexible Date tickets are available for one-day or multiple days. On the other hand, Date-Based tickets (one park per day) are also available. Date-based pricing is used, along with fixed start dates and a valid use period. 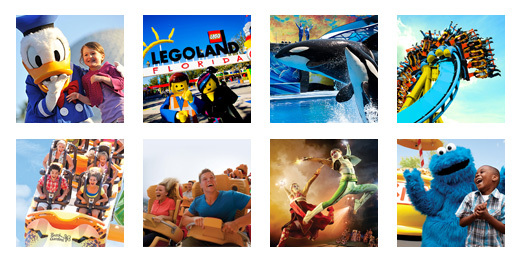 For either type of ticket package mentioned above, you can also include the Park Hopper Option – visit more than one theme park on the same day! The Park Hopper Plus Option includes visits to the Disney Water Parks and other attractions, along with the ability to visit more than one theme park on the same day. TicketsatWork makes it easy to purchase Disney Theme Park Tickets. Select the number of days you would like to visit a Walt Disney World Theme Park. Tickets include admission to one theme park per day unless the Park Hopper® Option or Park Hopper® Plus Option is purchased. Select the start date of your ticket. One-day base tickets are valid for admission on the specific date selected. Multi-day tickets are valid for admission beginning on the start date selected and must be used within a limited time period. Add Options to your Disney Theme Park Ticket for even more fun! All of these new changes are designed to simplify the booking experience and help you more easily plan the Disney vacation of your dreams.